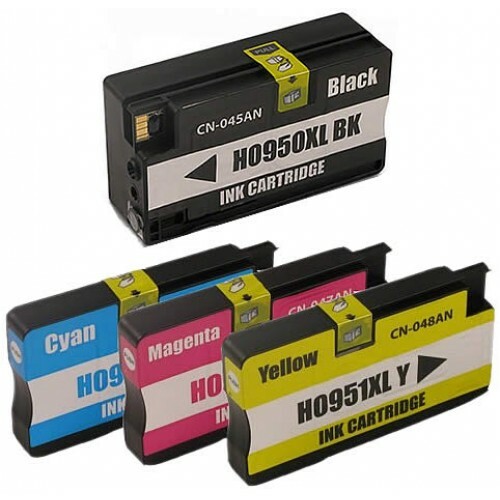 search terms: HP950XL/HP951XL Combo Pack, HP 950XL/HP 951XL Value Pack Australia, Cheap HP Printer Cartridges, Buy online cheap Australia, Combo Pack Ink Cartridges. $42-90 for the full set of XL cartridges and they work just the same as the $169-00 set that I was getting from Officeworks. How can there be such a massive price difference. I bought 2 sets so got free delivery and they were here the next day! Very happy with the cartridges and even more impressed with the service from Ink Hub. I placed an order online, cartridges arrived but were the wrong ones. I rang Ink Hub and I had actually ordered the wrong cartridges by mistake. I returned them as instructed by the manager and within the same week the correct ones arrived. I was very impressed by the way this situation was handled and I will definitely be buying again from Ink Hub. Thank you Dean for doing the right thing and looking after your customers. Very rare these days to get this level of service. Extremely happy customer ! Next day delivery to Greenacres ( Adelaide ). Well packed, installed into my Officejet Pro 8600 printer with no problems. The price is ridiculously cheap compared to what I was previously paying. When will my HP 950XL / 951XL Value Pack be delivered ? Your HP 950XL / 951XL Value Pack comes with a 60 Day Money Back Guarantee. Our Guarantee is rock solid! Unlike other online stores selling Generic Cartridges we stand behind all of our products. If you have any issues whatsoever with your products simply call our office and we will sort it out immediately. Our generic cartridges are all brand new NOT refills. Will these generic HP 950XL / 951XL cartridges give me a good page yield? What is the shelf life of these generic cartridges? All of our cartridges have at least a 2 year shelf life ( expiry date ) written on the packaging however if stored in a relatively cool environment they will be perfect to use for at least 5 years or more. These HP cartridges are one of our most popular items. They utilise the very latest version microchip which is fully compatible with the latest HP firmware. We guarantee that they will have no compatibility issues whatsoever.